So, it’s been a month since I’ve blogged. Computer issues. Business. Vacation. All of the above. Part of what I love about doing what I do is being able to dream. I love the gowns that come in. Satins, laces, chiffons, beading, appliques, buttons, overlays. Deciding what to use where. 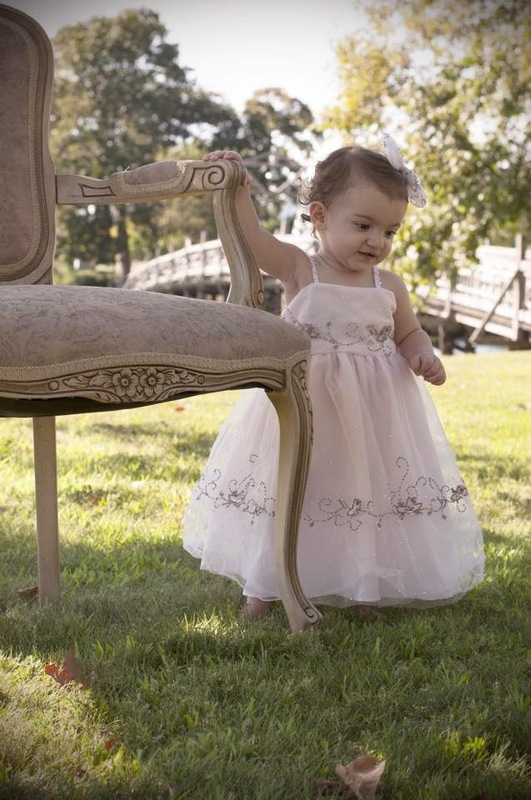 Some gowns are plain, some are fancy just like our mommie’s taste, the christening gowns and accessories take on their flavor. We also love new challenges! Mommy brought to us her prom gown, pink satin and tulle with beads to make her daughter her 1st birthday dress. We had made her daughter’s christening gown already from her wedding gown. We love knowing our customers are happy with us…enough to come back. We were unable to use the bodice of the gown because of the detailing so we created a new bodice with the pink satin and an overlay of the tulle & beading. Mom had saved the spaghetti straps with beading and we used the satin and tulle on the bottom of the dress. A cute bow on a clip completed her outfit. I tried to post a picture of the original dress, but the computer issues continue!